Learn how golf club fitting can help lower your scores without additional practice and without lessons. Ahhhh, golf grips. Likely the most overlooked and under appreciated part of club fitting. Most of you golfers out there think you have been through a club fitting of some sort. However, did you ever get to the grip fitting part? If so, did the club fitter ask if you had a grip preference? Did the technician measure your hand for size or ask what size glove you wear. 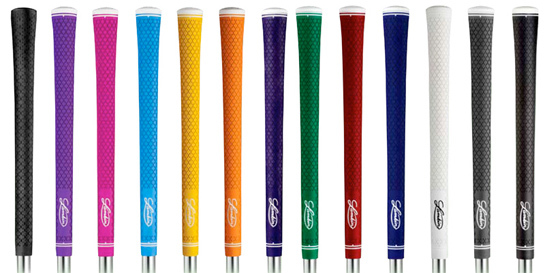 Did you have an opportunity to see, touch, feel, test different types of grips or grips sizes? If you answered no to any of the above then you went through a basic fitting. When I say basic I mean you weren’t fitted properly. Take a few minutes to read the Q&A on grips and hopefully this you can this this information to lower your scores. In an earlier post we featured and highlighted the Swingbyte golf swing analyzer and smartphone application. The Swingbyte is one of only a couple devices and apps that offer real time swing data via bluetooth to your smartphone and or tablet device. Very few of these devices available to the consumer market are affordable, convenient, or as comprehensive as the Swingbyte. The Cam Caddy is one of the most unique products I have reviewed this year and with the onslaught of technology in the world today, it is fitting that someone invest in a tripod like devise for smartphones to be used with self video analysis. If your reading this and you don’t have a pair of alignment sticks in your bag, you are in the minority. The good news is they are available at your hardware store for about $2.29 each/Home Depot. This particular product is used in conjunction with an alignment stick for the ease of do-it-yourself video analysis.